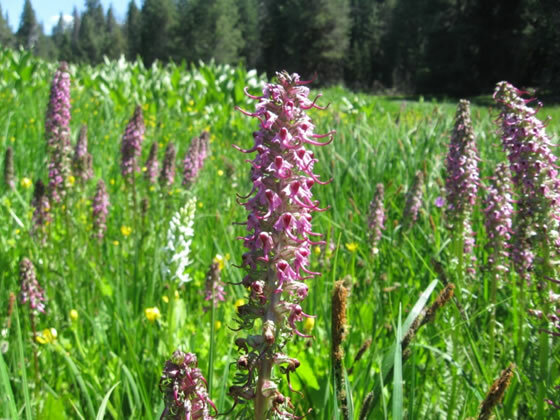 The Little Shasta Meadow Botanical Special Interest Area (BSIA) is 390 acres and is an example of both dry and wet high elevation meadows. There is easy access to a dry meadow portion of the BSIA occurs along Forest Service road 46N09 approximately 1.6 miles northeast of the Martins Dairy Campground. This location includes an interpretive sign with a description of the botanical area. Wet meadow portions of the BSIA can viewed from Burnt Camp which is located approximately 0.2 mile off the main paved road on Forest Service Road 46N06. Burnt Camp borders a large meadow area with Shovel Creek flowing along the south west edge. This area supports exceptional plant diversity including many conifer species, several stands of quaking aspen (Populus tremuloides). 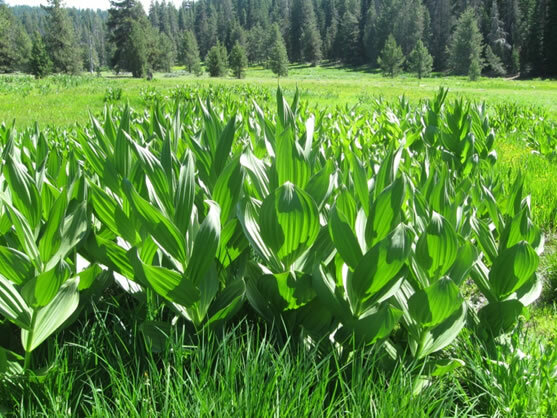 Both the wet and dry meadow areas are full of native wildflowers that are at the height of bloom in mid-July.